As a real estate agent who works with both buyers and sellers, I know a lot about what buyers are looking for and what sellers have to offer. Accordingly, I love it when I have the opportunity to represent a seller who is selling a truly one-of-a-kind property that buyers will love. My latest listing is just that. 225 Lincoln St. #2 is a 1,327 sq. 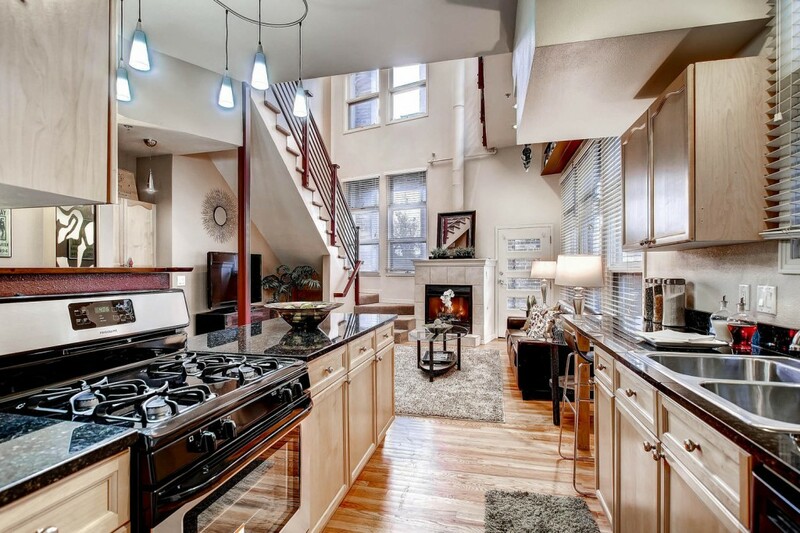 ft. 2 bedroom 2 bathroom loft in the historic Bell Tower Lofts building. The building was built in 1893 to be the original Broadway Baptist Church, and it has since been divided into eight distinct residential loft units. Centrally located, the building is close to downtown and within walking distance of lots of restaurants, shops, and nightlife. As you walk into unit #2, you immediately notice the open layout and 25+ foot high ceilings that, in conjunction with an abundance of windows, illuminate most of the two-story unit. Brand rand new stainless steel appliances shine alongside granite counter tops in the eat-in kitchen, and a built-in kegerator awaits your favorite Colorado microbrew to keep on tap. Heading upstairs you find the master suite featuring original exposed brick, 2 skylights, a 5 piece master bathroom, and a balcony–one of three outdoor spaces the unit features. The guest bedroom also is on the second floor, along with a large south-facing balcony on which you can enjoy your morning coffee or grow your favorite kitchen herbs. On cold days you will be warmed by the gas fireplace, and your 2 cars will be warm, too, from being parked in the dedicated parking spaces in the underground garage that come with the unit. Need a home office? The extra third room could be used as an office–or a third (nonconforming) bedroom, for storage, or as a game room! Love to grill? The grill is right outside the living room in the large courtyard. 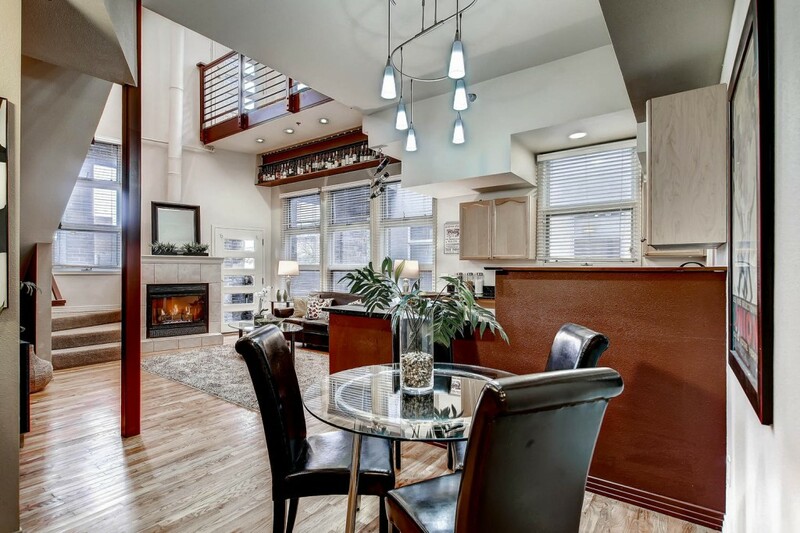 If you’re in the market for a Denver loft, I encourage you to see this unit in person. For more information on 225 Lincoln #2 or to schedule a showing, click here. Interested in selling your Denver home? Click here. Thinking about buying a different home? 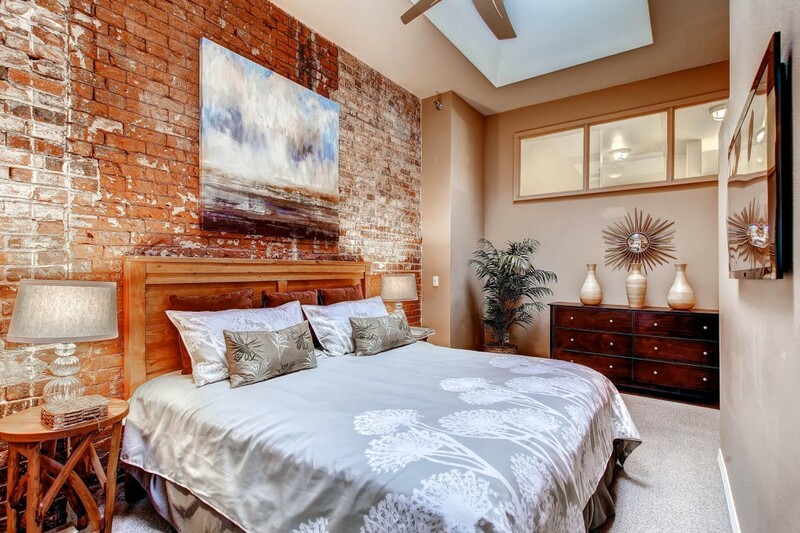 Search all Denver real estate for sale here.